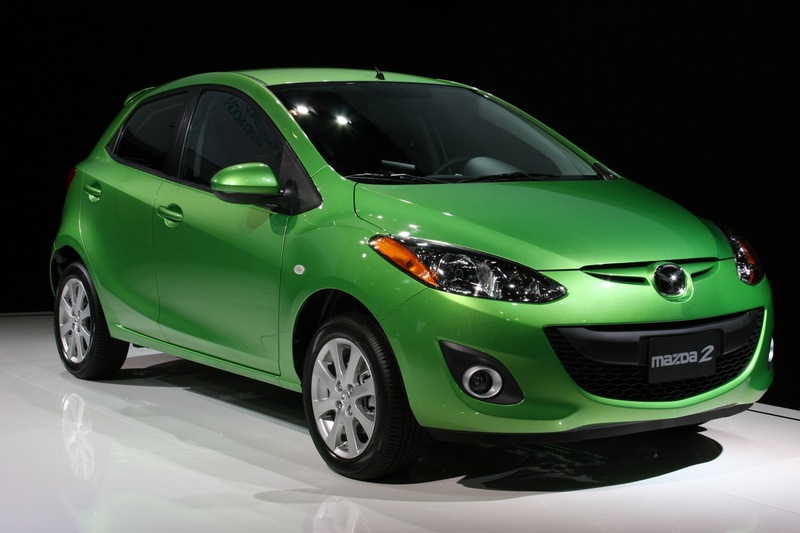 Mazda’s big news involved their Mazda2 subcompact, aimed at the Hobda Fit, Toyota Yaris and Ford Fiesta. The tiny five-door should be hitting North American showrooms by July, with a base price of $13,980. At that price, you get A/C, four-speaker CD stereo and keyless entry among other extras; if the pictures of the car are to believed, it also comes with two to four ebuillient twentysomethings frozen in midair, Mary Tyler Moore-style. The company also announced a new family of engines called the Sky line, which led to a moment of confusion in which the assembled press corps briefly though they’d accidentally gone to the Nissan stand. According to Mazda, the Sky diesel can get 43 mpg highway in a mid-sized sedan. A torquey Mazda6 with that kind of mileage? Sounds like a win.